Well as most of you know we have been looking for a T-shirt design now for a while but we never really got too serious about it. We would like to now move into "serious mode" , well about the t-shirts. Anyway with all the talent that we see amongst our community here we figured we would open it up to anybody who wants to give a try to make a t-shirt design for Forever Pontiac. This will be a fun contest (hopefully one of a couple contests we're looking to run this summer) and allow us to get a couple designs that we can all choose which one we would like to advance to printing. Anyone is welcome to enter this competition, all you have to do is enter your preview image in here. 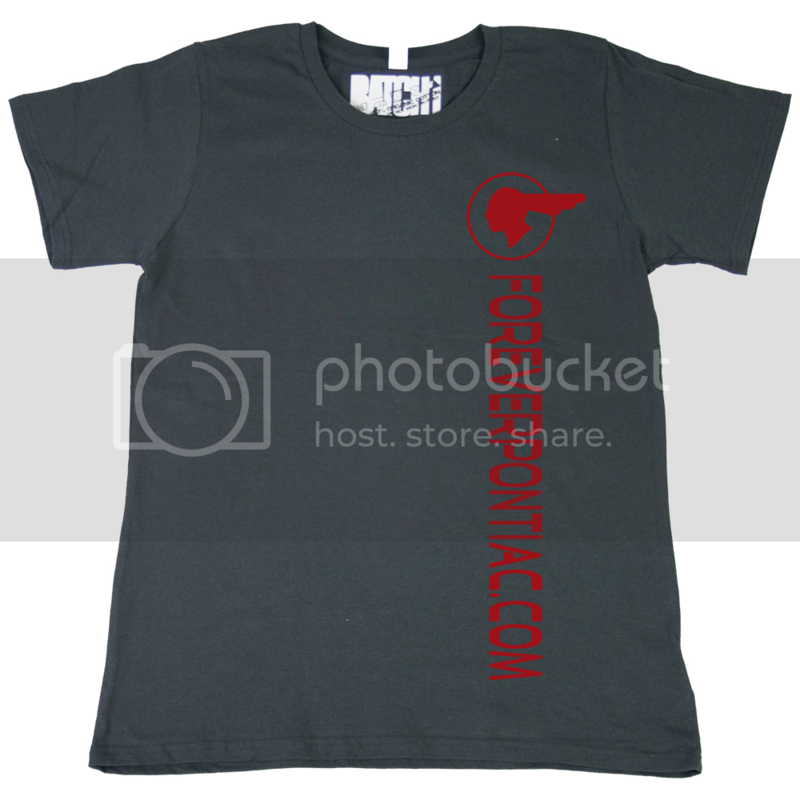 You do not need to put it on a "t-shirt like figure" or anything, just a jpg of the design will do. Those who enter will get the design at a flat cost, which I will explain later when pricing is available on the shirt. This contest will close on June 10th so get your entries in! 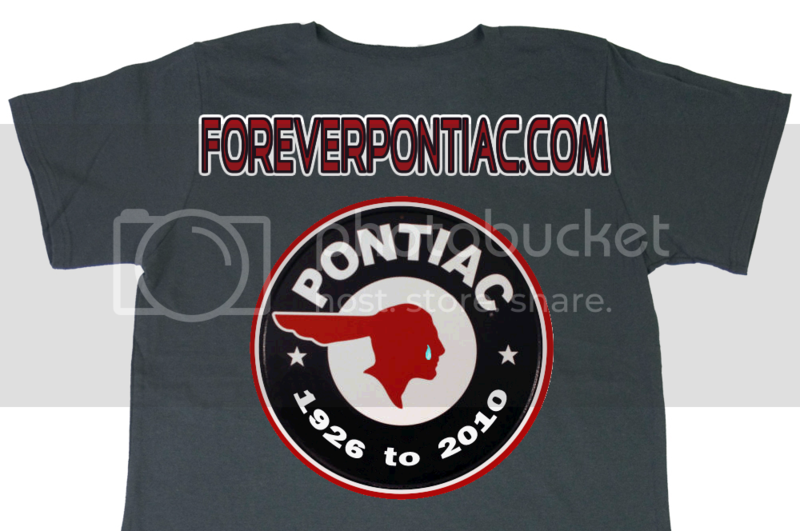 A suggestion that I think would benefit the t-shirt: The front should be the logo/design that the competitors will make and the top-center back just have "foreverpontiac.com" with maybe a small symbol eg. the Pontiac Arrowhead. I believe this will make the shirt "flow" better because it won't feature the web-address on the front. Actually, I just thought of a good example of this. The OPSGEAR shirts from Opsgear.com. Here you can see the front (left) with the logo/design and the back (right) with their "tip of the spear" logo and then website. I personally own this shirt and a few others and believe me, they "flow" very well. are there any limitations? single color or multicolor, flat color or shading/gradients? Keep to print colors, there's a list around here somewhere... I'll need to find it but I'll post it when I do. I'll have to try something, we'll seethough. I won't be getting back to Cali till the 17th... Maybe I have a few ideas. Ok as most of you expected im throwing some ideas around. Im sure i'll have one or two more ideas. I like the second one that Jedi made. Maybe with a small Indian head in black just inside the colour on the left hand side. I have a Cadillac one that looks great and a Pontiac one would be better. I like where yea going with this the only thing is im more partial to the Charlie Sheen bowling shirts style more. I have some of those as well with the colour in the centre panel. I would rock that old school look! That would be really cool and have the arrow heads on the shoulders of the sleeves. I would wear that shirt to renew my wedding vows. Better then a Tux. ^^ YES! Love the old school look! We need an arrowhead. Shoulder maybe? I don't know about the arrow head or extra words on the shirt. I am just not getting the screaming thigh sweats for that. I like clean and simple. My guess on this if I find someone who will do it will be $60 (more or less) per shirt. That's why I'm kinda leaning towards just a plain T, hopefully around $15 shipped. Whatever you guys want I'll try and find but I'm just suggesting the things that'll work best and cheapish. Right now I'm looking at this one site that has excellent printing (i've used them before), they're very well priced and they take care of everything so Ghost, Joe or I don't have to order the shirts with our money, handle the shipping and maybe be out some. june 10th passed, i haven't seen this sooner and regret not, haha. entries are closed i'm assuming? and that bowler shirt is awesome, even though it's mainly only cool for men hah. We'll extend this till at least myself and lawless get an entry in so at least some options. If anyone else would like to enter in this time, they can as well. and here I was thinking I was getting a free shirt.